I've been sewing up a storm, lately! Testing patterns, dreaming of warmer weather and enjoying these last sweet moments with my daughter before she's off to kindergarten, next fall (booohooo!). Up to bat, today, Little Lizard King's newest PDF sewing pattern, the Trendsetter, designed by the multi-talented Cassie!! 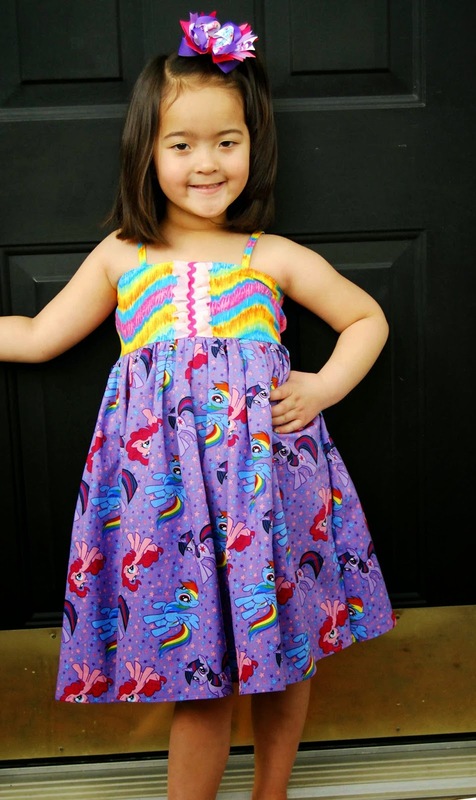 -The TrendsetterPDF sewing pattern by Little Lizard King is sized for Dolly up to size 8. Perfect for Dolly and Me matching dresses! -The Trendsetterhas several strap options (simple, double). There are also instructions in the tutorial on how to do a flutter on the simple strap option. -The Trendsetterhas several skirt options (fancy skirt with underskirt and lace trim, Fancy skirt with lining, Simple skirt with underskirt or Simple skirt). Whew- that's a lot of options! -The Trendsetteralso has several bodice options (gathered or simple). -Best part of the Trendsetter? There are NO pattern pieces to print, cut out and tape together!! There are just color-coded cutting charts! Woohoo! All of my dresses are size five and I was originally down to test the simple skirt. The Trendsetteris so simple and sweet that I sewed up not one, not two but THREE dresses during testing!! 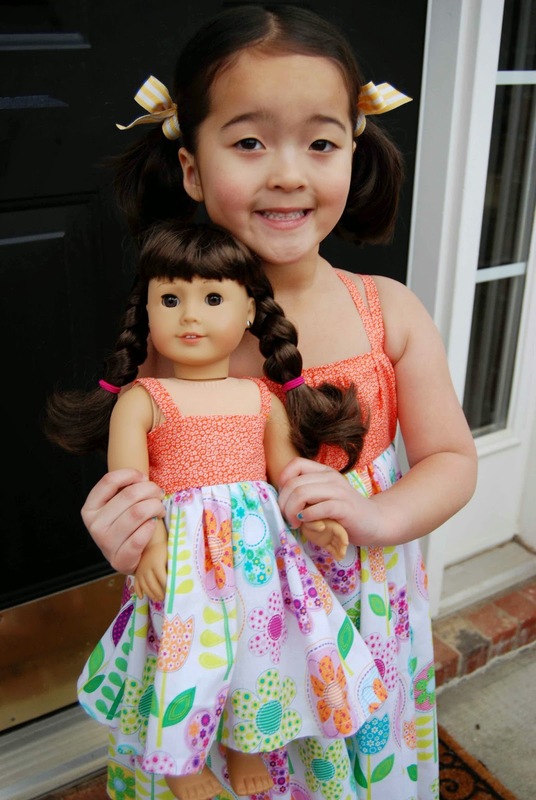 Actually, if you count the Dolly dresses, I sewed up FIVE Trendsetters! Whew!! 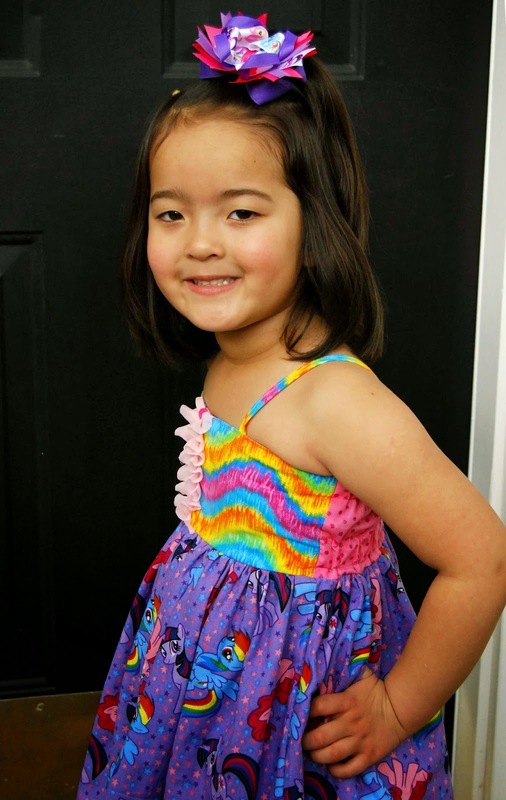 Obviously, since I sewed up so many dresses, the Trendsetteris an easy sew. This would be a great pattern for a beginner sewist. 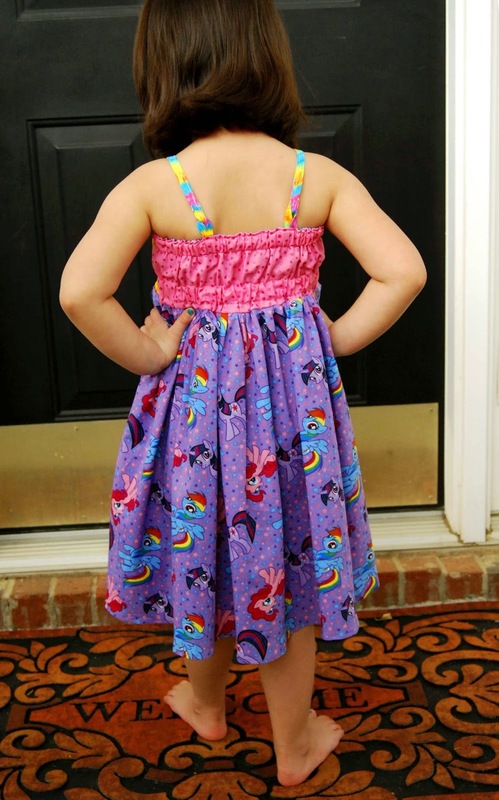 I sewed up the last Dolly dress (Purple My Little Pony fabric) in about an hour from cut to finished serged seam). See- FAST!! Now, don't be fooled by the simplicity of the Trendsetter. It can be dressed up, or dressed down, depending on the fabric that you choose. I chose to use fabric from my stash. This is a great scrapbuster of a project- I ended up with just slivers of the tie-dye fabric when everything was said and done! For me, the back of this dress is what sells it for me. 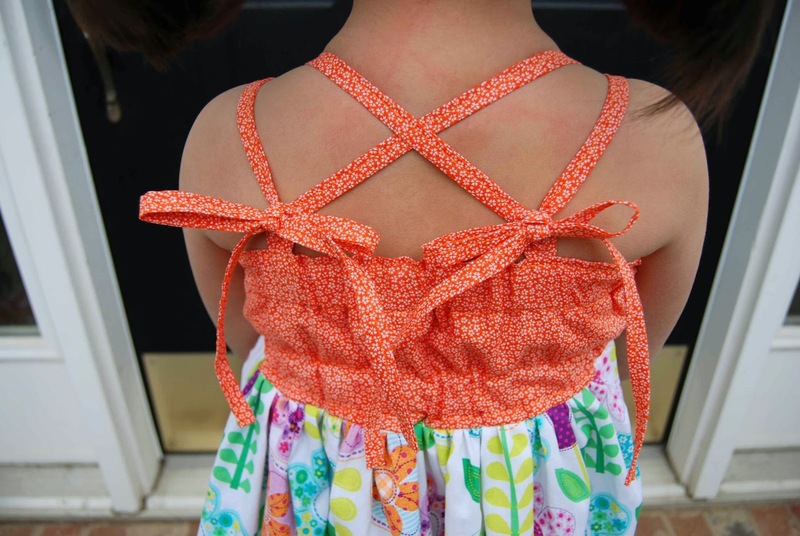 I've got lots of pretty, sunny dresses in my PDF sewing pattern library, but none with the awesome criss-cross back included in the double strap of the Trendsetter!! Seriously. The back has it on this one! With a double row of comfy elastic, there will be no fear of this dress slipping down during play. Lil' Miss already danced and played the afternoon away in the two cotton print dresses (after I took pictures). Now, let me tell you a little secret... that second dress.... the fancy white tulle creation with an underskirt? Well, it's made up of a curtain and a sheet from Ikea. Really. Just call me Scarlett O'Hara! Or, Maria! 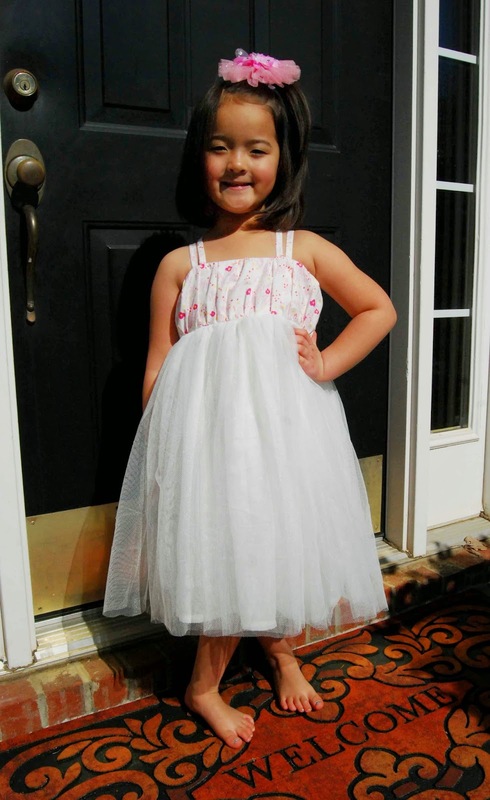 It was perfect for Lil' Miss to wear to my cousins recent FL nuptials! 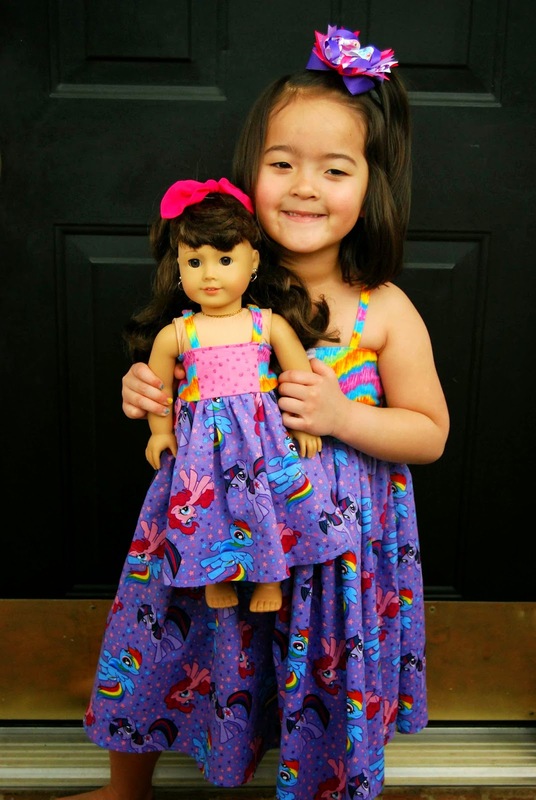 Lil' Miss loves the matching Dolly dresses that I made for Samantha out of the Trendsetter! 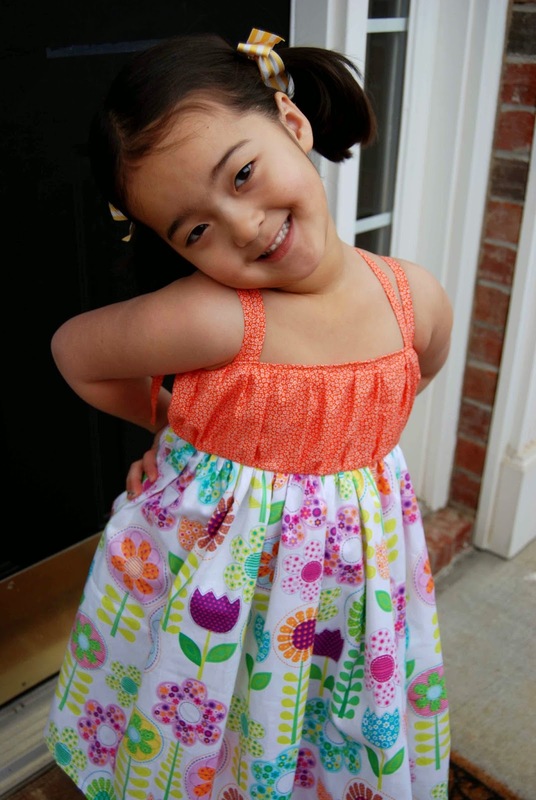 The dolly dress pattern is included in the purchase of the Trendsetter pattern. Thanks so much, Cassie, for allowing me to test for you! I had "sew" much fun!! Okay- now, go forth and buy the Trendsetterby Little Lizard King!! 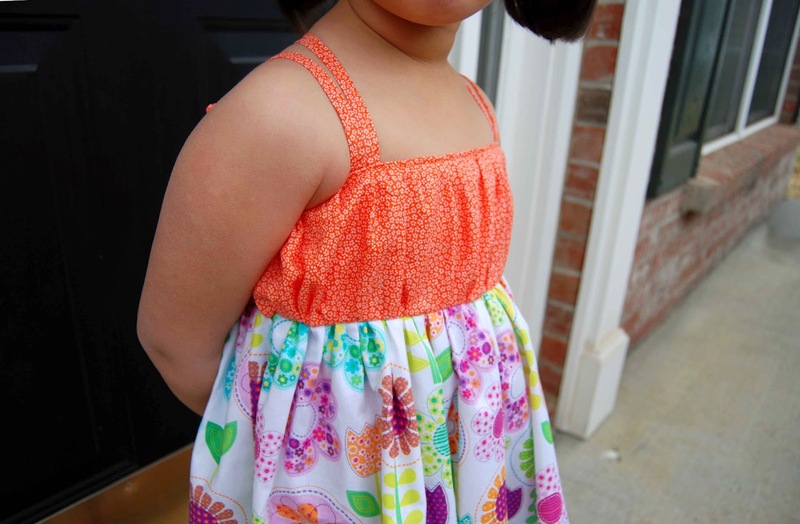 You won't regret this summer staple PDF sewing pattern! 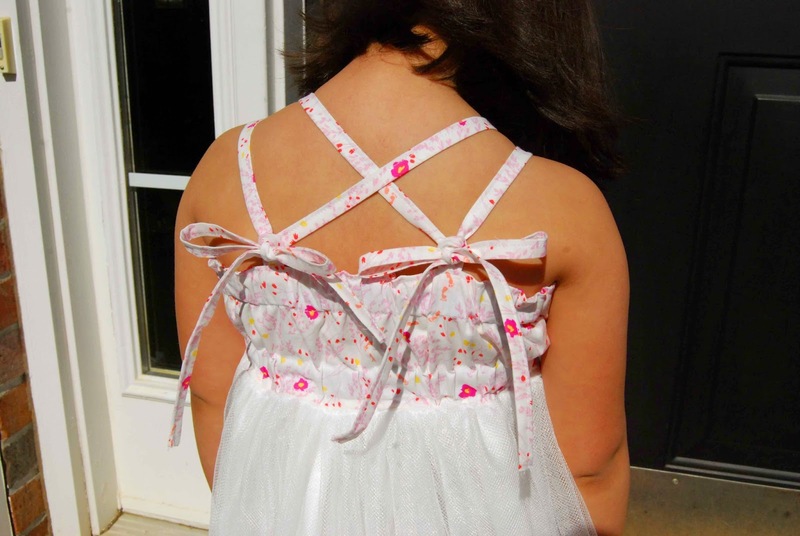 Simple Skirt, Gathered Bodice, Double Criss-Cross Straps. 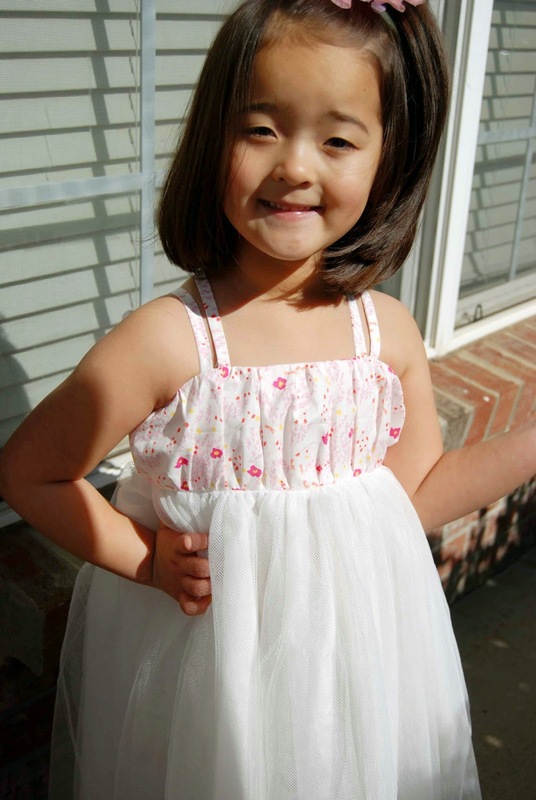 Fancy Skirt with Underskirt, Gathered Bodice, Double Criss-Cross Straps. Simple Skirt, Simple Bodice, Simple Straps.